It has become customary for Microgaming to launch visually appealing slot games that draw inspiration from famous TV shows, and the software developer does it again. It announced the imminent release of Battlestar Galactica, a slot game that will be developed in partnership with NBC Universal Television with whom they’ve recently signed an agreement. 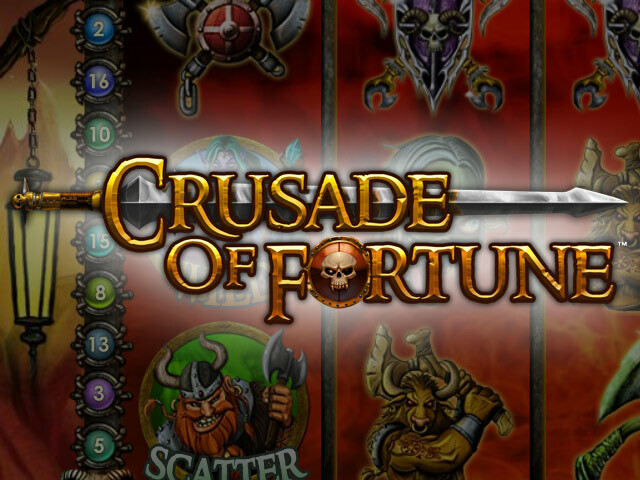 Not so long ago, Microgaming did something very similar by launching Lord of the Rings slots that were incredibly popular with their audience. 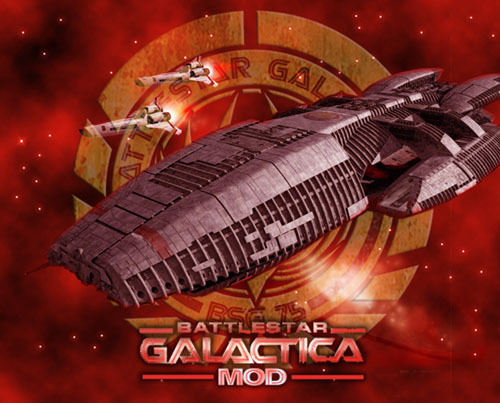 In this particular case, it is expected that the success of Battlestar Galactica will be even greater, because these slots will appeal to more fans. There are many players who are equally fascinated by the aforesaid TV show but taste pretty much anything that is sci-fi related. It comes as no surprise that Microgaming hopes to attract Star Trek and Star Wars fans as well, because these new slot game will feature many science-fiction symbols. Most modern slots are focusing exclusively on the bonus games and price structure, and don’t pay attention to the visual and the sound effects. Luckily this is not the case with Microgaming who built a name for itself by crafting beautiful games that charm the eye before they boost the bankroll. The software developer made progress in another direction as well, as it plans to release more slot games using the QuickFire platform. The Amsterdam Master Plan will be among the first to hit the shelves, and while the connection to science fiction is severed, the slot game has the potential of being quite exciting. Players will root for the robbers as they will win big if the criminals succeed in their attempt, but the ride will be just as fun as the destination. No week passes without Playtech releasing new slots, but lately the software developer seems to be on a flurry when it comes to progressive jackpot games. 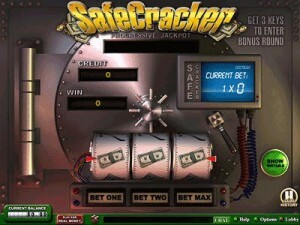 The latest addition to its lineup are Safecracker and Wall Street Fever and both games have already produced a couple of big winners. They were gradually introduced to casinos that use the software provided by Playtech and it comes as no surprise that the number of players is constantly increasing. Just like any progressive jackpots, these ones require players to bet the maximum amount but the effort is worth making and the return on investment generous. Wall Street Fever was the first to produce a major winner only a week ago, with the lucky player receiving 64,000 credits. This was not the highest amount to be won by someone playing this slot game, because roughly one month ago another player secured almost 5 times that amount. The rules of the game are straightforward and players who see five Wall Street Logos on the active pay line will win the jackpot. As the popularity of the game increases, the amounts to be won will also get boosted by the high number of players contributing. The other major hit from Playtech is Safecracker a game that is also expected to make autumn bearable, as it already made a couple of players rich. It can be played in various denominations, and as long as the player makes the maximum bet and gets three cash symbols on the same pay line he can start making plans about how to spend the money. Microgaming has a very similar type of called Tunzamunni, but unlike Safecracker this slot game doesn’t have a bonus game. 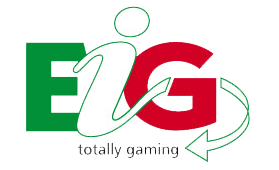 Whenever an important convention such as the European iGaming Congress draws near, people from all over the world get anxious. They are right to be excited because these events are used to announce some of the latest video games, online slots and other titles that will keep players hooked for many hours. Now with the EiG 2012 taking place in Barcelona the most important software developers with unveil their products. The bingo market promises to be showered with good news as GTECH G2 has announced the imminent release of Bingo 2.5, which promises to greatly enhance the gaming experience of bingo fans. Among the exciting news that players can expect from this new technology is the in-game lobby which is aimed at improving the interaction between players. The user will also enjoy a superior control over the interface, as everything would be adjustable including the screen resolution and the window client size. While it is possible to make most of these adjustments on the go even now, very frequently the side effect is the lost information. This will be a thing of the past when GTECH G2 technology kicks in, and the company has good news for poker aficionados as well. The new poker client will help those who spend a lot of time at the virtual tables keep better track of their hand history. There will be no need for third-party software to record played hands, and all of them will be instantly available with just a few clicks. Regardless of what is their game of choice, players will be able to use the same GTECH G2 to play the games on their mobile devices. Williams Interactive and EveryMatrix are other software developers that will take advantage of this important convention to present some of the products they been working on. Are bonus screen games worth pursuing? There are various types of slots online worth playing, but the ones who have a bonus screen game stand out from the crowd. The prospect of significant profits draws people like a magnet, but a reasonable player will not let himself distracted by the elusive bonuses and think things over. 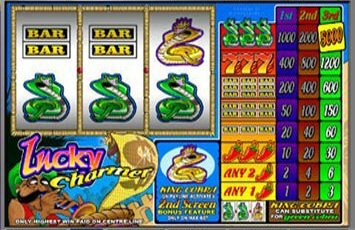 One of these games that are incredibly popular online is the Lucky Charmer which is available in all Microgaming casinos, as it was created by this software developer. To find out which are the casinos offering this slot game, head on to http://www.microgamingvideoslots.com/lucky-charmer-slot-machine. Percentage wise the differences between regular slots and the ones featuring a bonus screen game are negligible, with the best casinos offering payouts that come close to 97%. This might sound hard to believe for players who play a lot of traditional slots and then make the transition to this one, but the explanation resides in the way the payouts are handed. The regular reels are paying less, and with a single wild symbol there will be fewer occasions when it will come into play to increase the winnings. Another thing that will be deeply missed is the “any bar” feature which is a main source of profits in regular slots. If we were to stop with the analysis right here, the conclusion we would draw might not reflect the truth because it is the bonus game that compensates the lower wins. One can win over 2000 coins when playing Lucky Charmer and the same principle applies to all slot games that have a bonus feature. Although these wins are rare and variance is higher, on the long run players will not win less than they would by playing traditional slot games. Now that Halloween is drawing near we shouldn’t be surprised to see an inflation of themed slots, but those who aim for the very best don’t need to look elsewhere than 888. The Casino is spearheading the offensive of scary titles with their own Nightmare on Elm Street, which promises to become the number one attraction of the fall. The question is what makes this game different and special from all the other horror games released in October by various online casinos? One of the arguments in favor to 888’s take on the classic is the high prize pool, and the other is the authenticity of the slot. Developed in a partnership with Warner Bros, Nightmare on Elm Street will capture the very fragrance of the eerie character depicted in the horror movies. It will be particularly rewarding for those who also watched the movies back in the 80s to play this slot as a lot of attention was paid to the visuals. Players decide how many lines they want to bet on depending on resources and expectations, using arrows as means to navigate through the menus. There is no room for confusion as the amounts wagered are clearly displayed and players will always be aware of the sums they bet. The wins are the direct result of the amounts wagered with the exception being the scatter symbol with transcends the paylines and opens new ways of winning. Just the highest win is going to be compensated on a payline, but the amount can be boosted by making the maximum bet. 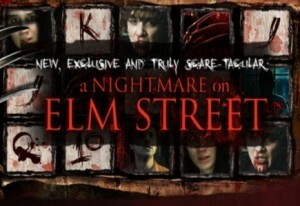 For a chance of playing the scariest but also the most profitable game of the fall, visit http://www.888.com/sem/nightmare.htm. While we are fairly familiar with notions such as high rollers roulette or blackjack, there are fewer players who are willing to gamble large amounts on slots. The explanation for this situation has nothing to do with the players’ confidence in these games, but the fact that few online casinos are offering slot games for highrollers. The limits are insignificant if compared to roulette, and in most cases players can only wager a couple of dollars as a maximum bet. For many this is enough as they look for nothing more than a couple of hours of quality entertainment, but others are ready to take slot games to the next level. This brings us to online casinos that cater almost exclusively for highrollers, and 888 is one of the companies that these elite players will find ideal for their agenda. Euro Reels is without a doubt the most appreciated slot in their offer, as players have no reason to frown upon the maximum wager of $200 per spin. In addition to the great collection of bonuses and loyalty campaigns that 888 is famous for, players will find a safe haven in these online casino and will have no reason to relocate. Betsafe is not usually regarded as the place to go for highrollers, due to the fact that neither their roulette or blackjack maximum wagers are on par with other casinos. Slot machines is what they shine at, with betting limits of no less than $100 per spin, players can get their adrenaline fix. 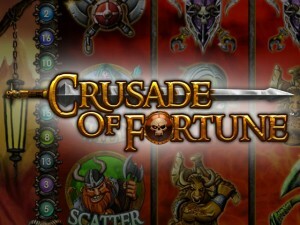 Among the most popular titles it is worth mentioning Crusade of Fortune and Ghost Pirates which are played at a fast pace and provide players with hundreds of different ways to win.